I’m a big fan of the MageTalk Podcast. Kalen and Phillip are adding an important independent voice across the Magento world. We all appreciate that! Recently they have been talking a lot about building a PWA. Let’s discuss it more. In the last episode, they asked each other what would be the leading PWA solution for Magento. I have the feeling that they aren’t sure about our traction and plans at Vue Storefront, so I decided to write down some info to help us all see the whole picture. Disclaimer – we are a Magento Partner, we like Magento, we like PWA Studio. By developing Vue Storefront we hope to build something for people – not against people. We believe, for some people, our approach could be better. Vue Storefront has been here for some time already and the ecosystem around it is incredibly advanced and active. New developers join the slack channel every day. Last year we saw over 20 online stores up and running on production, and more are to come very soon. 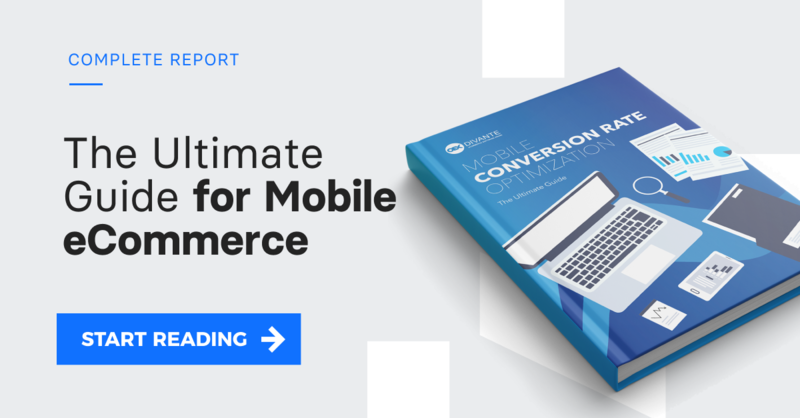 eCommerce developers are active, but so is the Vue Storefront community which releases new versions every month and speeds up solution development processes during frequent meetups. From the beginning of this year, we’ve participated in official hackathons in Poland and Italy, and the next ones, in Amsterdam and Stockholm, are already announced! Vue Storefront is backed by over 30 official partners – agencies that officially train new community members and contribute large chunks of code. The scale of onboarding new developers is huge, some agencies train more than 15 devs daily. This is also visible at the Vue Storefront repository on Github, which has passed 4,000 stars, become the fastest growing eCommerce repository, and one of the fastest growing in the vue.js environment. Looking at listing positions, Vue Storefront is the 6th most popular eCommerce repository on GitHub and 2nd for Magento (the first one is Magento :) ). The community gathered around Vue Storefront communicates on Slack. This channel, which we do not promote, has hit 1.2k developers. Most people join if they are developing something on Vue Storefront and need some help or guidance from other community members. Observing this movement, it looks like many more people actually use Vue Storefront than any other PWA solution (in terms of stars, forks, projects). In Vue Storefront, we use Vue.js. It is the fastest growing and the most popular framework, which has just surpassed React on GitHub. We picked Vue.js deliberately because it’s much easier to learn Vue than React (there are more reasons, of course, and we listed them here). From reports like StateofJs, it looks like Vue.js is the most beloved framework (people who tried it are saying they love to code more in Vue). Of course, this is a “religious matter” and there is no sense in disputing what is better – knife or fork. But what is important from the agency point of view? To be able to find developers, keep them satisfied and deliver quality projects on time, right? Vue.js, in my opinion, makes it much easier. Especially for the frontend developers who used to work with the previous Magento stack. Getting into Vue.js with basic HTML/CSS knowledge takes something like two weeks. Going further, getting into Vue Storefront takes another week or two, and your team gets a fully-qualified frontend engineer ready to work with modern a PWA stack. By using Vue Storefront, you can broaden your business because it is truly platform independent. Thanks to Vue Storefront agencies, which used to work with Magento only, we can now work with clients using Hybris, BigCommerce, IBM, Shopware, ShopifyPlus, PrestaShop, Episerver, and WooCommerce. All these names are here because we know there are teams doing implementations connecting Vue Storefront with these platforms (check the list of already integrated platforms). For an agency, being able to work with clients using multiple platforms, like Hybris, IBM, Oracle, Salesforce, sounds like a good idea, right? With 30 strong partners and a proven business model, Vue Storefront is here to stay for good. Last year, our revenue around the project hit $1 mln and we started a commercial cloud offer with seasoned teams in NYC and Berlin. We see other partners doing enormous projects on Vue Storefront who are earning in the millions too. This is not a pet project. There is a core-team doing Vue Storefront full time, and this is a profitable business. With hackathons around the globe and a small marketplace, we are building and extending the community around Vue Storefront. The project is, and will be under the MIT license, which is the most open open-source license. There is no possibility of closing the IP, we are working together. There are over 100 core contributors for Vue Storefront. Although the project is open-source, there are different commercial offers built on top of it (incl. two different cloud hosting services and two products using VS), so it looks like the ecosystem is here already, and will get only better. Vue Storefront has also been noticed by big eCommerce players. Thanks to being platform independent, we bring to Vue Storefront clients for whom Magento is just too small. Clients from the TOP 50 global retailers list are doing a Proof of Concepts on VS and they are very enthusiastic. Again, this is a great opportunity for any agency to win new clients. PWA technology is cool. It’s a no-brainer for eCommerce, but sometimes we need to educate our clients. We are happy that Magento’s PWA Studio and other solutions are here, they do an amazing job and we will all succeed in PWA. I’m sure of this. We believe that the market needs different tools and there is no one path for success. For now, the Vue Storefront ecosystem is strong and growing, and remember that this is amazing in the Magento ecosystem too. There is such wonderful enthusiasm around these kinds of projects.